The ‘Pride of Rivers’, Rivers United return to Port Harcourt to face Katsina United after suffering two consecutive defeats in the Nigeria Professional Football League (NPFL). The reverses suffered against the champions, Enugu Rangers at the Nnamdi Azikiwe Stadium and Kano Pillars, at the Sani Abacha Stadium have predictably attracted dire consequences. United are now in the relegation zone and failure to amass maximum points against Katsina United on Monday at the Yakubu Gowon Stadium could see the wheels spectacularly come off United’s cart as they look to commence a spirited fight to keep their place amongst the elite of Nigerian football. Technical manager of the Port Harcourt club, Stanley Eguma still has to work with a depleted side with so many of his first team stars still side lined through injury and illness. “We just lost two consecutive away games and it is not good for us,” Eguma said. “So we are giving this game the (attention and) importance that it deserves to get the three points (at stake). “Katsina United is a good side but we are confined to a situation where we now have our backs to the wall. “So we have to get the three points and keep our hopes (of staying in the division) alive again,” he said. Katsina United is also in the relegation zone and know a win in Port Harcourt will temporarily lift them to safe waters. They were the first side to beat Rivers United by a two-goal margin in the NPFL this season (the only other side being Kano Pillars in Kano last Thursday) and have quick, decisive players that can hurt the Port Harcourt darlings on their home patch. Midfield pearl, Destiny Ashady is the heart and soul of Katsina United; every positive play of the side revolves around the smooth playing star. He has an eye for goal too and could prove to be more than a handful for the Rivers United rear guard. Joseph Adah is also a tricky customer but the man to watch without a shadow of a doubt is Bison-esque attacker, Chinedu Udechukwu who left pain and gnashing of teeth in his wake the last time Rivers United played against Katsina United. Head coach of Katsina United, Baldwin Bazuaye is cautiously optimistic about his side’s chances against the Port Harcourt club and he shared his pre-match thoughts with our official media channel. “We are in Port Harcourt to try to get a point,” began Bazuaye. “We respect the opponent; we will play a tactical game and try to slow the things down. “There is no way we can play this game the way we did the reverse fixture in Katsina,” he said. 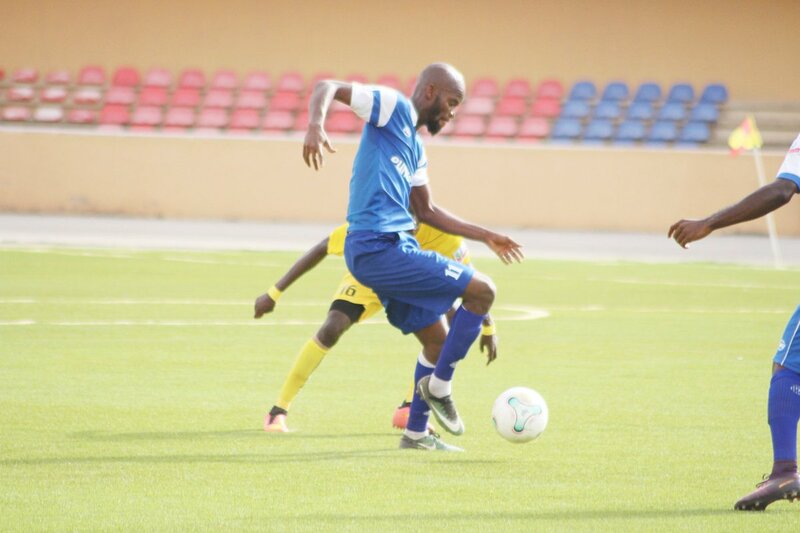 If the words of Bazuaye are to be believed, then the onus rests on Rivers United to force the issue against a Katsina United side that will more than certainly represent worthy opponents.